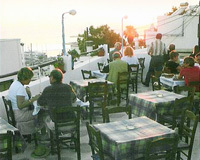 Enjoy your dinner having an exciting view from the roof garden to the harbour, the neighbored island in the light of a magnificent sunset, the Kastro and the mountains of Naxos by full moon. 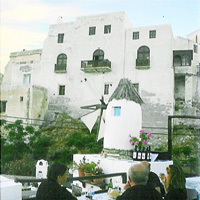 Try the delicious Greek and international cuisine, made of local products. 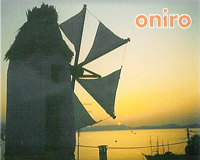 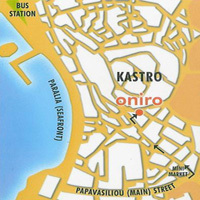 Oniro also offers you friendly service and high quality Greek music.